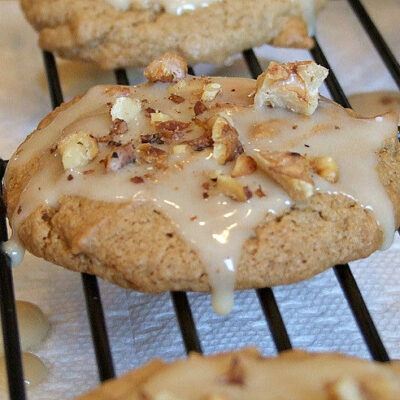 If you are looking for something to make for dear ‘ol Dad this weekend, this is it. Dad likes pancakes, right? He’d be crazy not to love these pancakes. 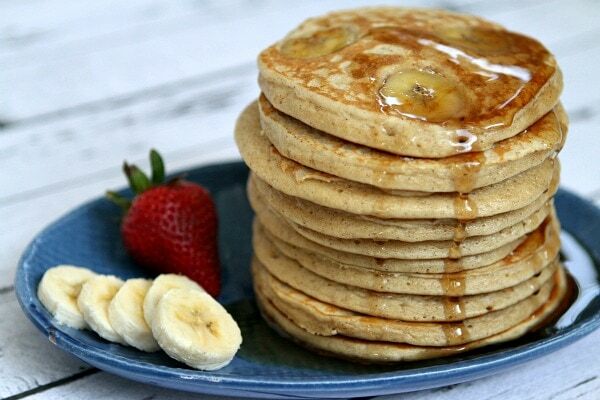 They are fluffy, they have a delicious, cinnamony flavor, and there are bananas added in for good measure… because adding bananas to pancakes is the best idea ever in the entire history of ideas. Well… I guess not exactly that extreme, but let’s just say that pancakes with bananas baked into them is a darn good idea. 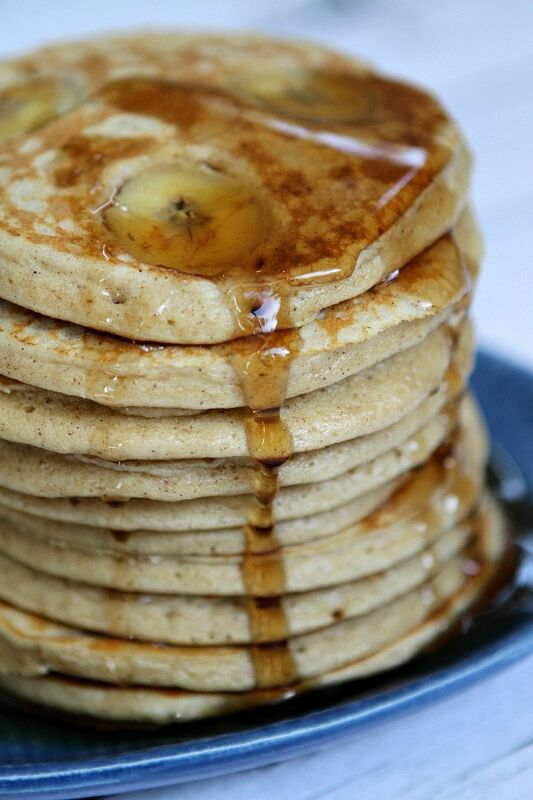 I’ve always and forever for so many years… LOVED bananas cooked INTO my pancakes. I don’t like them on top as much, but when they’re cooked into the pancake itself… that’s the way to get maximum enjoyment out of your pancake-banana combo. When the bananas are cooked right along with the batter, they have a chance to get slightly caramelized from the heat of the griddle. That’s a very good thing indeed! Happy Father’s Day weekend to the awesome Dads out there! Place all ingredients (except banana) in a food processor (or powerful blender) and puree until smooth. Place a lightly buttered griddle or skillet over medium-high heat. Spoon the batter (about 1/4 cup) onto the griddle. Place a few banana slices on the batter. Watch for popping bubbles around the banana slices. Flip and brown the other side. Serve with warmed maple syrup. Strawberry- Banana Pancakes by Can You Stay for Dinner? 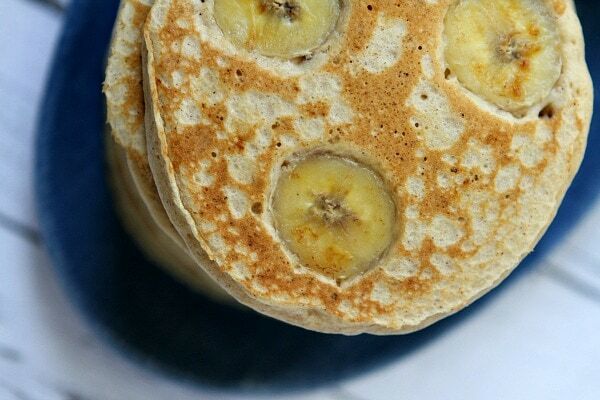 Banana pancakes are the bestest and these look yum! These look perfect, Lori! Love the banana and oats! Wish I could start my day with a stack of these! I agree; cooking the bananas alongside the batter like that is amazing! 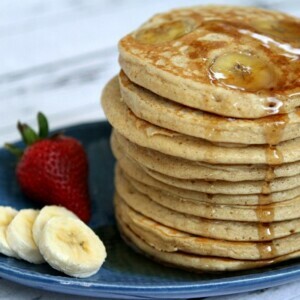 So much caramelization and banana goodness going on 🙂 This looks like a really simple and tasty way to make a great stack of fluffy pancakes. Thanks, Lori! I love banana pancakes, Lori, and I prefer my bananas cooked into them versus on top as well! This looks like a great recipe — healthy and tasty. And I love the oats! We love banana pancakes. Never tried them with oatmeal. Great idea. I would love to start my day with a stack of these pancakes! Lori, I love the oats in these pancakes! They look like the perfect way to begin the day! Yum! 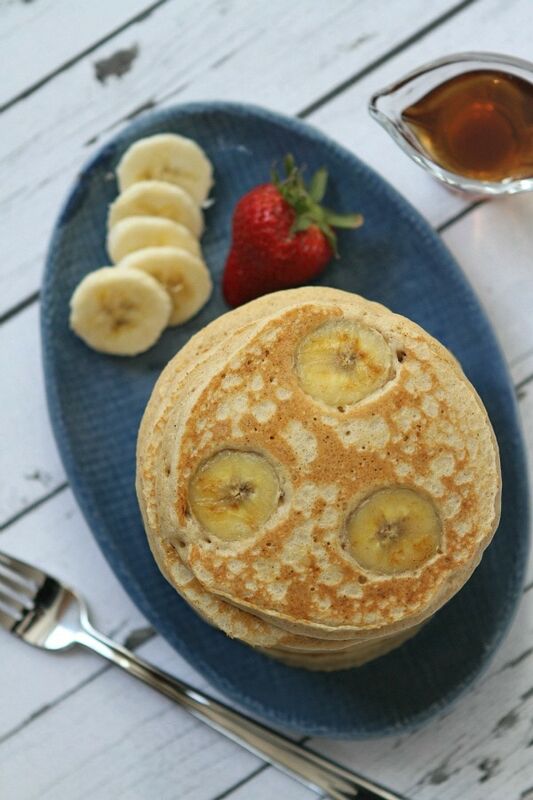 These pancakes look and sound absolutely wonderful! 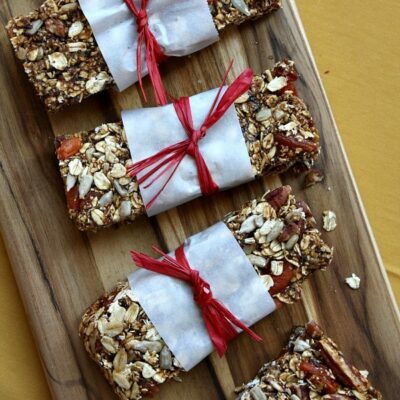 I love the bananas baked right in and on a positive note, I have all the ingredients on hand to recreate these!